Does Samorost 3 use Flash? Will there be a black border around the screen? Will there be any issues with losing saves? "the game runs in Air. don't worry about saves, black borders or anything else. it's all fixed and the game works great on almost any non-prehistoric computer and on any screen resolution. it's also more convenient than unity or any other 'heavy engine' as it starts instantly and you can easily go to window mode just by pressing Esc and then go again full-screen anytime." Can one play Samorost 3 without having played 1 & 2? "Samorost 3 is completely independent game so you don't have to play Samorost 1 or 2 at all. the first two are very old, small games with medicore game design. Samorost 3 is much bigger (in fact, significantly bigger than Machinarium) with the story which is not connected with previous titles." When will the game be released? How much will it cost? Where will one be able to purchase the game? How about the soundtrack? "Samorost 3 is expected to launch on PC and Mac on March 24 for $19.99 through Steam, GOG, the Humble Store, the Mac App Store, and the game's official website: www.samorost3.net. Samorost 3 Cosmic Edition - containing the full game, a digital art book and its original soundtrack - will be available for $24.99. The Cosmic Edition will be available on Steam, GOG, Humble Store and most importantly also on our own website." Moderator comment: On all the sites listed above, the purchase of the soundtrack comes with both MP3 and FLAC files. Will Samorost 3 be released on iOS and Android? If so, when? Also, will it be released on phones, too, or just tablets? Note that it requires Android 4 or newer. On March 31, Amanita Design said on the Samorost 3 Steam forum that the "iOS version is in the works. [It] should be out in a few months." And Amanita Design has confirmed that Samorost 3 will also arrive on the Android platform later this year. Edit #1: On June 27, Amanita Design said in a Twitter DM that they will have Samorost 3 out on Android and iOS "in a month or two...hopefully." Edit #2: On July 14, I noticed that Amanita had updated a post originally made on July 6, saying Samorost 3 "will be eventually available for...tablets and phones." "Android version will follow in a few weeks, please be patient!﻿"
Where are the Soundtrack and Art Book files located for the Steam DLC or Cosmic Edition? Will there be a boxed physical edition of the game? "we want to make really nice collector's box but we are not sure if it will be available at time of the digital release or a little later." Edit #1: On April 12, Amanita Design said on Twitter that they "are preparing nice boxed version. will be available through our web in a few weeks probably." Edit #2: On June 27, Amanita said in a Twitter DM that they "hope to have the box available in a month or two." Edit #3: On July 10, Amanita said on Twitter that the "Samorost 3 Soundtrack on CD...will be sold separately and also in boxed Collector’s Cosmic Edition." Edit #4: On October 12, Amanita said on Twitter that the "Samorost 3 Cosmic Box is now being produced. manual work takes time.."
- paper card with printed unique Steam keys for Samorost 3 and Samorost 2 as a bonus! Will the soundtrack be released on vinyl and/or CD? "Definitely [the soundtrack] is going to be released both on cd and vinyl in few months on Minority Records again." On July 10, Amanita said on Twitter that the "Samorost 3 Soundtrack on CD...will be sold separately and also in boxed Collector’s Cosmic Edition." "Vinyl is already in production and should be out around October. Nowadays time of vinyl production is unfortunately really long because the industry is overwhelmed by demand by majors and the number of machines which can cut vinyl is limited…"
October 10, 2016 - Minority Records is now taking preorders for FLOEX Samorost 3 Soundtrack release on 2LP/CD. Hey, what's up with the menu? There isn't any text! How am I supposed to know how to save or load a game, etc.? How do I start the game over from the beginning? Although this is covered in the Menu Guide, I figured I would address this again separately here as well because it's sort of buried there. To restart the game, you'll first need to click on the main MENU, which is the little white star symbol in the upper-right corner of the screen. Then click the up arrow symbol to get to the LOAD screen shown below. You'll see that the screen has several circles (save spots). Now click on the first circle (numbered '0') showing the observatory house of the space gnome, and then click the check mark to confirm and you'll be good to go. If the game is accessible under Steam only, can I play it on multiple computers? Does the computer have to be online in order to play? But even if you purchase the game through Steam, it's still DRM-free, meaning it can be launched without the use of the Steam client; you can locate the game in your Steam folder on your computer and launch it and play it offline without using Steam. And yes, you can then copy it and move it to any other computer you own. I bought the game through the Humble Store, samorost.net, or Amanita Design's Store. How do I update it? Are you planning to release CD version? "Vinyl is already in production and should be out around October. Nowadays time of vinyl production is unfortunately really long because the industry is overwhelmed by demand by majors and the number of machines which can cut vinyl is limited..."
Edit #5: October 10, 2016 - Minority Records is now taking preorders for FLOEX Samorost 3 Soundtrack release on 2LP/CD. Edit #6: November 7 - Amanita Design has just launched a very nice (partly hand-made) boxed version called Samorost 3 Cosmic Box, and Samorost 3 Soundtrack Double Vinyl. Oops. I should've put this in the first post. (I'll edit it now.) 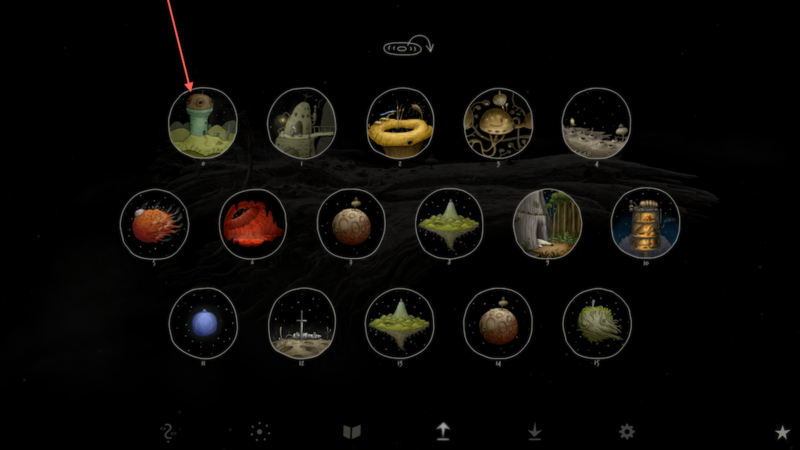 On March 31, Amanita Design said on the Samorost 3 Steam forum that the "iOS version is in the works. [It] should be out in a few months." Note that it requires iOS 8.0 and above, and at least an iPhone 5, an iPad mini 2, or an iPad 3.